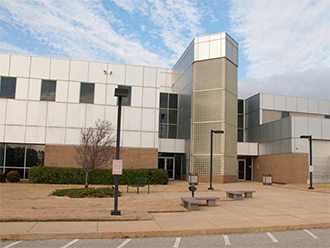 Established in 1967, Jackson State (JSCC) was the first community college in West Tennessee. Serving a 14-county area, in addition to its main campus in Jackson, the school has full-service centers located in Humboldt, Lexington, and Savannah. Currently over 4,900 students attend Jackson State. The average age of the student population is 22. JSCC offers associate degrees, certificates, and enrichment courses as preparation for further higher education and career entry or advancement. In the Arts and Sciences division there are 28 areas of emphasis in which students can earn the Associate of Arts or Associate of Science degrees. Graduates are then prepared to transfer to a four-year school to complete a bachelor’s degree. In the Professional/Technical division, the college offers career-oriented programs through an Associate of Applied Science degree in the areas of business, computer information systems, early childhood education, general technology, industrial technology, medical laboratory technician, nursing, occupational therapist assistant, physical therapist assistant, radiography and respiratory care technology. The College has an open admissions policy and offers credit for work and life experiences through Prior Learning Assessment (PLA). Jackson State does not offer any fully-online degree programs.